The exposition of a story is the first paragraph or paragraphs in which the characters, setting (time and place), and basic information is introduced. A lot of movies show the exposition by panning over the city or countryside and showing the main character doing something such as walking, working, or waking up. These scenes allow the readers to understand where the story is taking place and who’s in it. Expositions are the place to show the reader a little bit of the location and what kind of time is involved in the story, along with some of the major characters. Tommy kicked angrily at the rocks in front of him as he walked to the little store up the road. The gravel road was quiet, with only the dust from his feet rising up from the ground. The Texas spring was hotter and drier than normal, causing a slight drought. Tommy wished he still had his bike, but he had broken the frame last fall when he and his friends did some trick rides. “Man, that was some fun, though!” he remembered with a smile. His smile went back to a frown as his thoughts returned to why he was walking on this hot Saturday morning. His sister Rachel was home from college for the weekend, so he didn’t understand why HE had to go get the milk. She could have driven in her car. It was always, “Rachel’s busy. Rachel needs to study.” Today it was, “Rachel’s tired from her drive home last night.” Whatever! He had work to do, too. What about how busy he was? Everyone treated him like he was a little kid. But he had his 10th grade exams coming up in two weeks. He was busy, too! In this example, we see the protagonist, Tommy, battling some inner conflict as he deals with issues with his older sister. The setting is in Texas, somewhere out in the country; he’s in high school, and it is spring. There is also a slight drought going on, which may or may not affect the story as it progresses. From his reflection on what happened to his bike, we get the idea that he’s a little adventurous and active. These two paragraphs give us a good opening to understanding the protagonist and the setting. Some books or stories will have a “Prologue” before the first chapter or a scene showing something from the past. This prologue or backstory sets the story by giving a description of events that have affected or lead the main character up to the present time in the story. It will also show other characters and perhaps the antagonist. The story may start with the character in his or her present time, showing the time and place (setting) at that moment. Then the protagonist (main character) may have a flashback or have an inner monologue (speaking to him- her-self) that shows the reader a previous event which impacts the story or is the cause of a later conflict along with the possible antagonist. Another way of creating the exposition is through characters talking to each other. They may discuss previous events, issues that impact the story, and other characters. This conversation clues us in as to the where, when, and who. Exposition is important in a story because it allows the reader to see the location and factors of time, such as season, year of life, etc. It also introduces the characters. Without an idea of where and when the characters are, readers will be confused about why certain events are happening. Without a clear idea of how the characters are connected, readers may be confused, as well. The exposition is like that introductory paragraph in an essay – readers need to know where the story takes place and what characters they’ll be following. An interesting book about the magic of words in a story is “Inkheart” by Cornelia Funke. When Meggie was a toddler, her mother disappeared as her father read a story to her. That story was Inkheart. He is now searching the world for another copy of the book because as he was reading, bad guys magically appeared from the book as his wife disappeared into it. The bad guys took the book so that he couldn’t read them back into it. The excerpt below introduces Meggie and her father, showing that they have a close relationship. It also hints at the mysterious power books have on our characters. This story, which gives new meaning to the concept of “the power of words,” has been made into a movie. The book she had been reading was under her pillow, pressing its cover against her ear as if to lure her back into its printed pages. ‘I’m sure it must be very comfortable sleeping with a hard, rectangular thing like that under your head,’ her father had teased the first time he found a book under her pillow. ‘Go on, admit it, the book whispers its story to you at night.’ (Funke). A classic example of exposition can be found in Shakespeare’s “Romeo and Juliet.” Many plays start with prologues or monologues to cue viewers into the setting and characters. The prologue gives us background information such as the families involved, where they are, why there is a problem with Romeo and Juliet’s affection for each other, and the result of their feelings. This play is still a part of many schools’ curriculum due to its timeless story of forbidden love. What here shall miss, our toil shall strive to mend” (Shakespeare). Super heroes have been a popular part of our culture for many decades. A popular comic book brand, Marvel comics, is best known for the Avengers, heroes with super powers who save the world over and over. 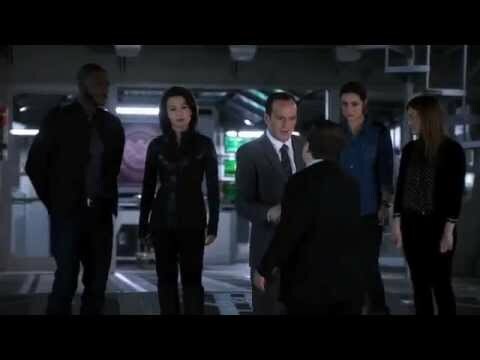 A television series, Marvel’s “Agents of S.H.I.E.L.D.,” features a group of Avengers who attempt to protect the world after the Battle of New York. This series, like most others, features an exposition at the start of a new season and each episode. The scenes are relevant past events that are needed to pick up the next story line. A very clear and strong example of an exposition is from the movie “Pride and Prejudice,” which stars Kiera Knightly and is adapted from Jane Austen’s book written in 1813. Our protagonist, Elizabeth (Lizzy), is featured walking in from the meadows while reading a book, illustrating her love of walks and books. The scene pans through her yard and home, letting viewers have an impression of the family’s status and manner of living. As she walks by a window, she hears her mother and father talking about a prospective new bachelor in the area. Since they have five daughters, her mother is frantic to ensure all five are safely married since their home will go to a distant male relative upon their father’s death. Thus the story line is set for the viewers to understand the coming events. The introduction is the opening paragraphs or sentences in a piece of writing that gives the topic and what will be said about it. Additional information may be the thesis and a preview of the main ideas. To introduce the topic, an interesting fact or short story may be given. The exposition is an important part to any narrative or tale. A clear description of the setting and introducing characters will make your story easy to follow and much more interesting. Without it, readers will not have a context or understanding of events as the story unfolds.